Both taxi owners and operators here in Northern Ireland face many unique challenges when it comes to running a successful business. One of these many challenges is obtaining the correct NI taxi Insurance at the best price. At times this may seem a little daunting, but it is by no means impossible. Having the knowledge and being well informed as you purchase the by law mandated Taxi Insurance is key. This article will help you do just that. Finding Taxi Insurance NI companies that provide affordable public hire, black taxi, or private hire insurance policies in Northern Ireland can most definitely be done. 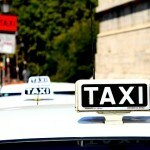 How much does Taxi Insurance cost? Taxi insurance NI or northern Ireland policies will vary according to your specific needs. There are different degrees of risk that need to be taken into consideration, such as the amount of mileage you drive, and the hours that you work. The more literal hours one works, the chances of having an accident increases, and correspondingly, so do premiums. A good example of a private hire vehicle would be a mini-cab. The fact that customers need to pre-book a mini-cab, is the main difference between them and public hire vehicles. Only cabs that are permitted to not only pick up fares at cab ranks, but be hailed in the street, is this insurance relevant for. This is considered the most basic type of insurance there is , and is required by law to be carried by all vehicles that operate on public roads, including private passenger cars. of insurance is intended to cover costs of a third party in the event of accident. Damage to the insured vehicle is not covered. Should the driver be at fault, this type of cover will not only pay for the damage to others, but theirs as well. Policies vary, but some providers will allow for a replacement vehicle for a certain period of time. Getting the best rate will depend on who is going to be driving the taxi. As is the case with owner-operators, there is only one driver. If this is the case for you, then named-driver insurance may very well be appropriate. Many times, a taxi is owned by a company, and is driven by many people. For this, All-driver or any driveer Insurance is usually the best bet. This type of taxi insurance NI cover has the added advantage of enabling you to add drivers with little or no advanced notice, which can provide with a solid peace of mind should one of your drivers become ill, and you need to fill his spot with another. This type of cover is essential for taxi owners, due to the fact that they are offering a service to people that that has the potential risk of causing injury to others. Whether you own the taxi yourself, or are just are just an operator, this type of insurance is of the utmost importance should the affected party decide to sue the driver.